Super Noa Black Need Help? 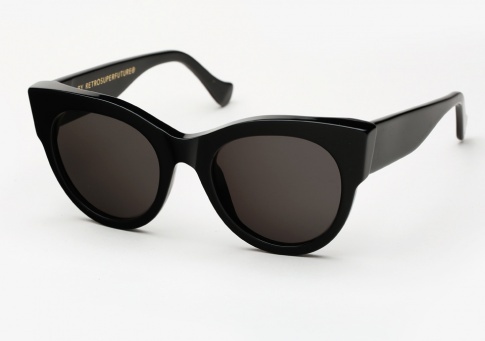 Super Noa is a bold and timeless oversized cat eye sunglass with a signature upline. It revels in vintage references to produce a contemporary silhouette carefully balanced by thick temples and curved tips. It is offered here in classic shiny Black acetate paired with dark grey lenses by ZEISS.